I was shopping at the local thrift store looking for metal candle holders to use to decorate for Halloween when I spotted it. The trip started out innocent enough, but then I saw this groovy vintage chair in need of my help. Well, mine and my husband’s help. 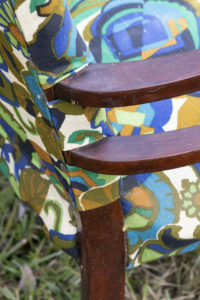 And so began this vintage chair restoration. 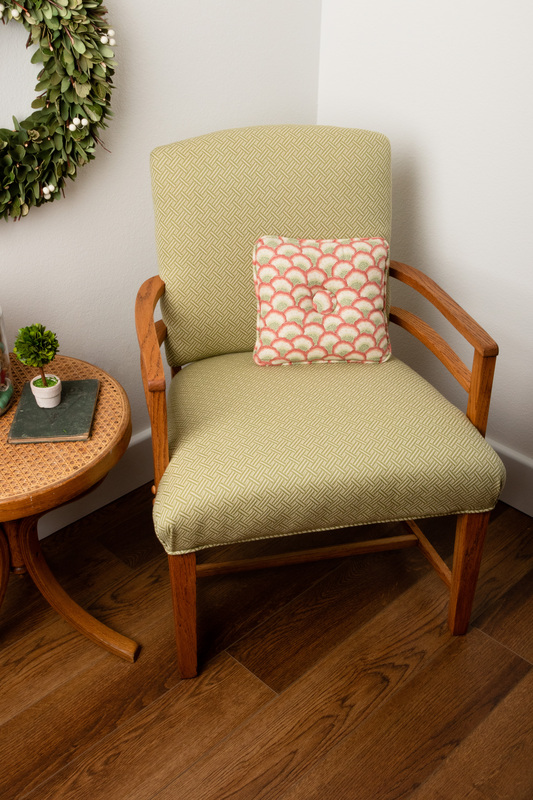 After I got the chair home and I looked it over, I decided to paint the frame and use grain sacks to upholster it. The biggest surprise came when stripping the old finish off of the chair. The wood was pristine and stunningly beautiful. Now, I had to make a change to our original plan. 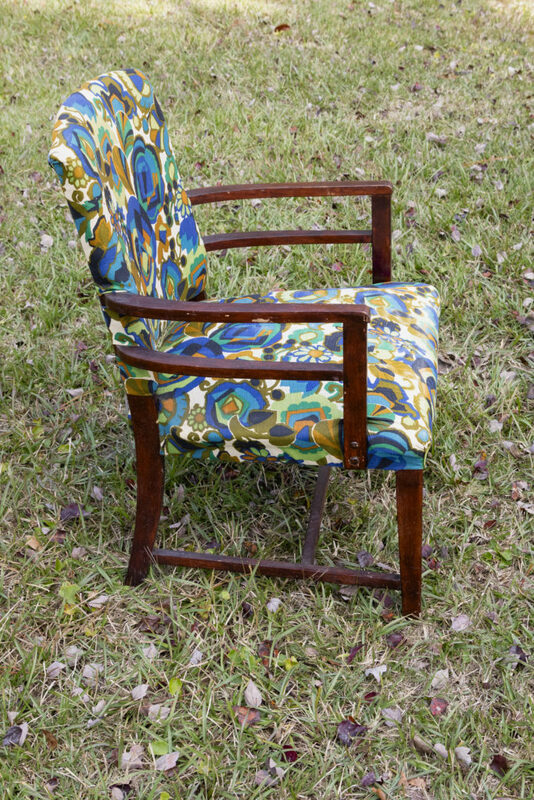 This vintage chair restoration was going smoothly until the original wood was exposed. 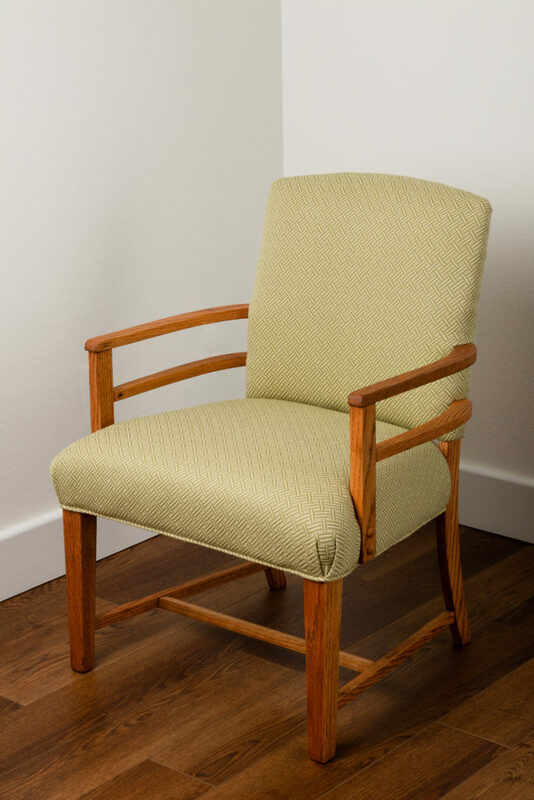 It was too beautiful to paint and the fabric I selected would not work with the wood finish, so I had to select another fabric. 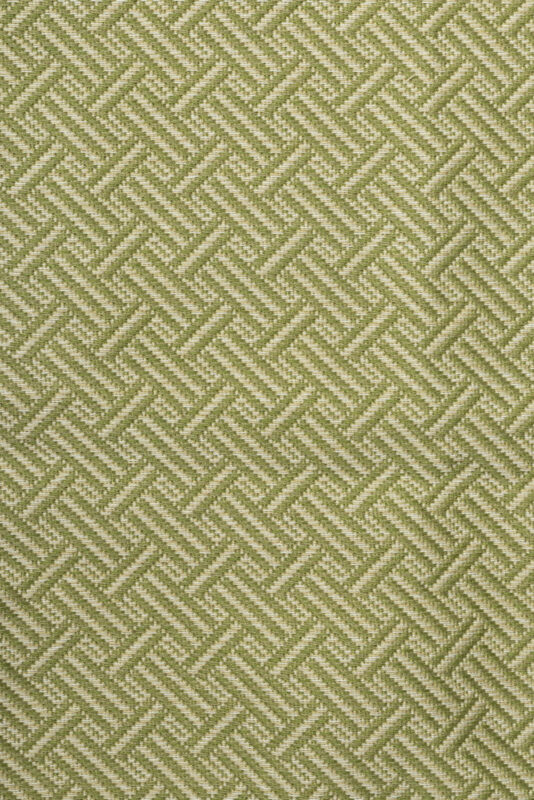 Keeping in mind the chair’s design is Art Deco I changed my fabric choice to a geometric pattern that was more fitting for the chair’s design. Refinishing the wood was the most important part of the restoration. My goal was to save the chair and make it like new again, but at the same time protecting the wood. The biggest surprise was the frame’s condition. Amazingly, the frame was in perfect shape. 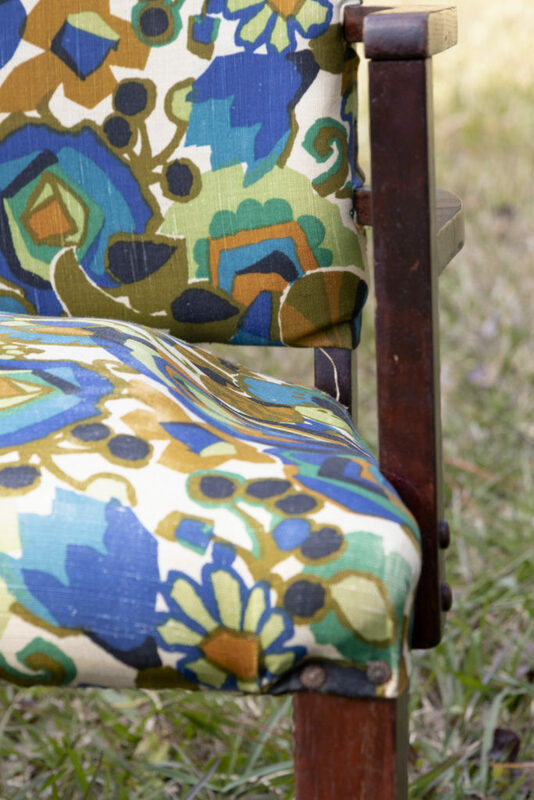 For a piece of vintage furniture that is a huge bonus! I used three coats of teak oil to seal and protect the wood. The springs had fallen through the bottom of the chair since the webbing had dry rotted. The cotton and foam had completely fallen apart too. 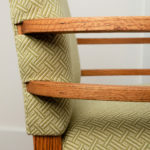 The chair had been re-upholstered before. I could tell since this fabric and foam would not have been used originally. I had to remove all the guts. Now, it was easy with just a beautiful frame to rebuild the upholstery. 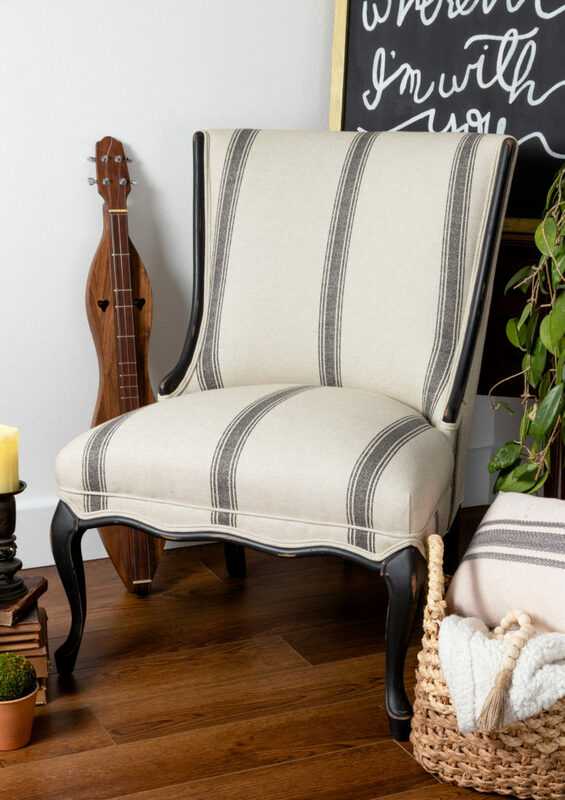 The chair is like new with new: webbing, springs, foam, Dacron, burlap and fabric. I did not use nail-heads to attach the back of the chair, but instead I used tack strips. 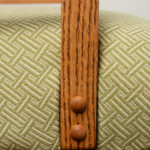 Tack strip is a “modern” upholstery supply. 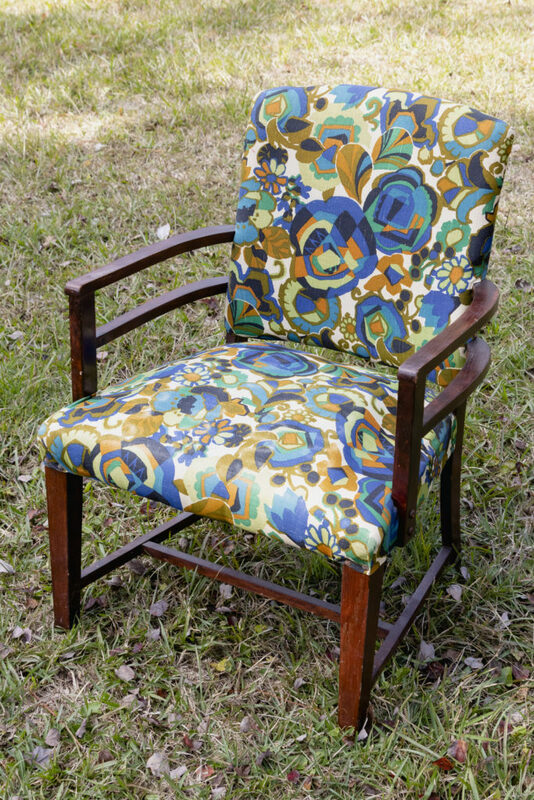 Now that this beauty is complete and is upholstered in my favorite colors and a geometric pattern I cannot let it go. My dining room furniture is also Art Deco and these same colors are in the dining room too. It is really getting tough to decide whether or not I should sell or keep it for myself. 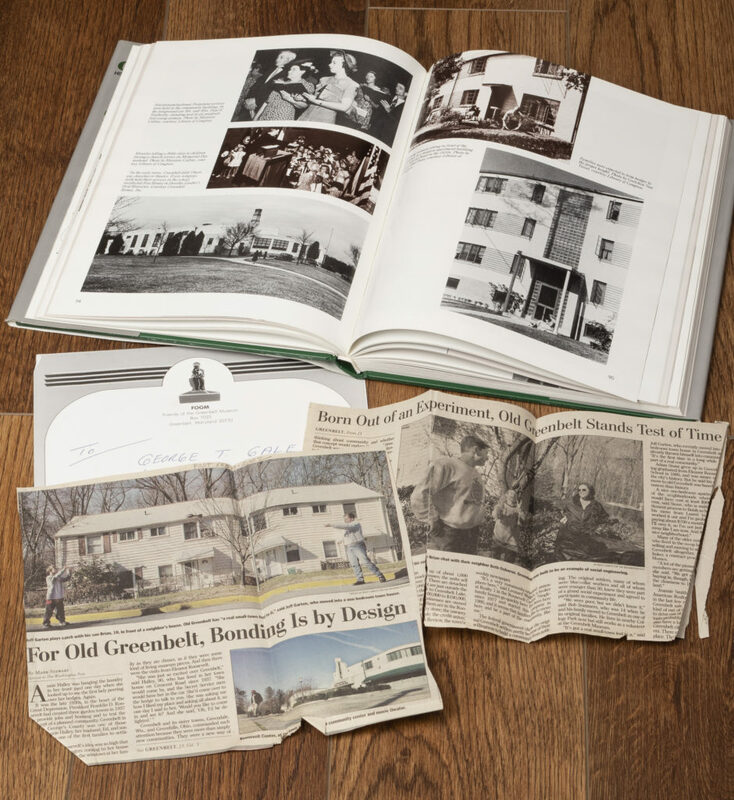 In 1937 my grandparents purchased a home in Greenbelt, Md. It was a part of the New Deal’s planned community. The home came furnished with Art Deco style furniture. You can read more about that HERE. I have their dining room furniture in my home and I am honored to have it. You can see the same furniture in the Greenbelt Museum. 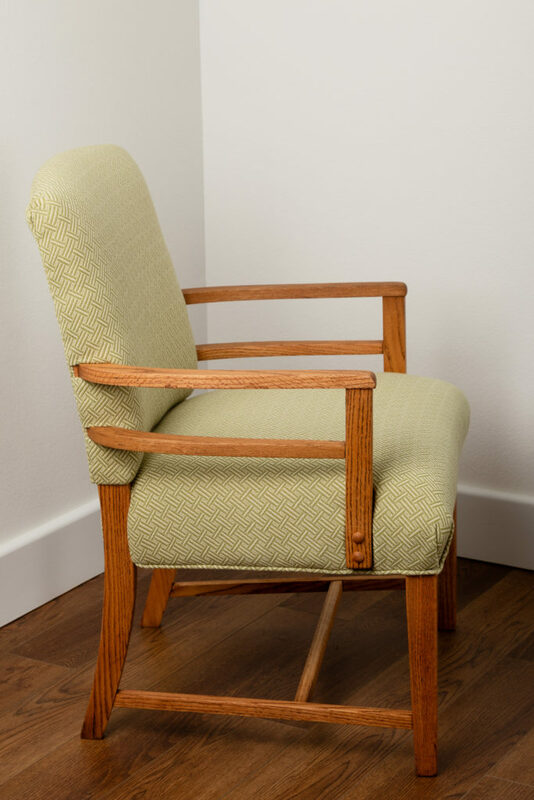 So with all that said, you can see my desire to keep this precious vintage chair restoration because of my family history. 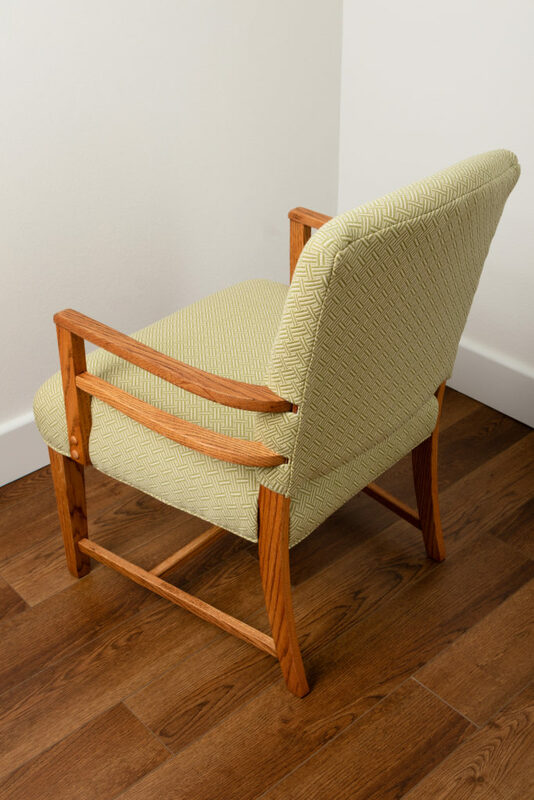 Join the movement of restoring vintage furniture by learning to upholstery from the industry’s expert. 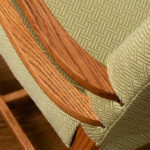 You can grab your 20% OFF coupon below and use it to save on our Upholstery 101 Video. 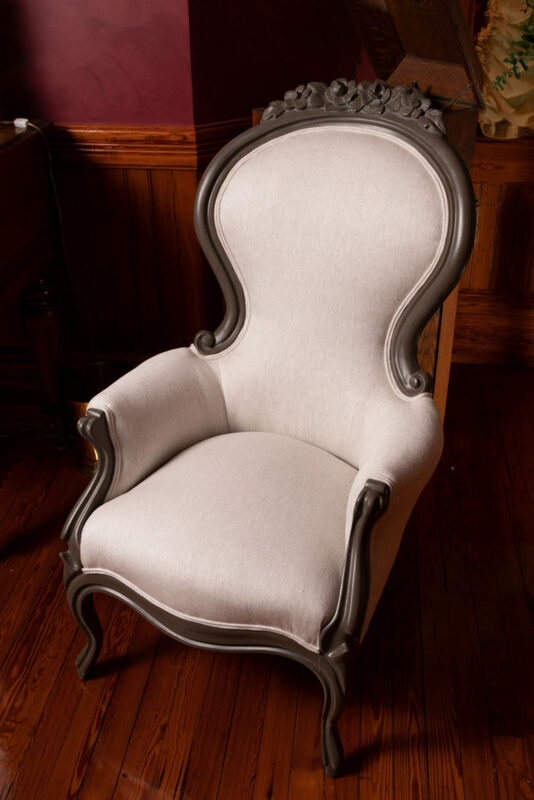 You will learn everything you need to update most furniture. Easy and instant download from HERE. 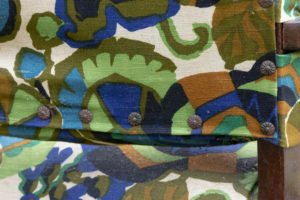 Read about the Upholstery Recuse HERE. 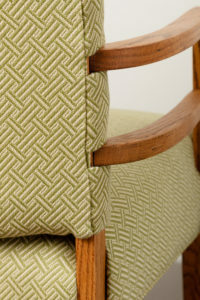 Read about the Antique Upholstery Restoration HERE. Thank you for visiting I hope you are as excited as I am about saving furniture from the dump and giving it a “new” life. Second chances are the best. Please let me know what you are restoring in the comments below. I love to make friends and visit with old ones too.